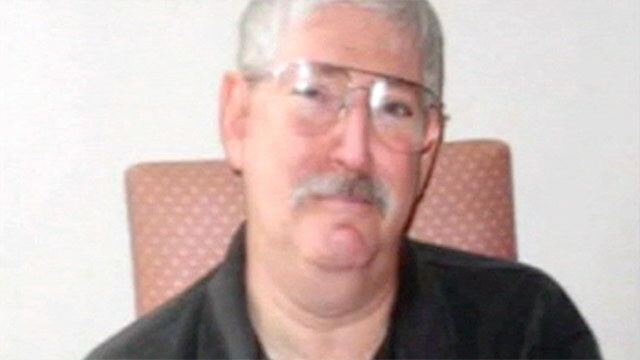 Robert Levinson disappeared during a business trip in March 2007. Businessman's wife says family is "tremendously encouraged"
Washington (CNN) -- Evidence is growing that a retired FBI agent who disappeared in Iran four years ago is alive and being held in Asia, Secretary of State Hillary Clinton said Thursday. "We have received recent indications that Bob is being held somewhere in southwest Asia," Clinton said in a statement. "As the government of Iran has previously offered its assistance in this matter, we respectfully request the Iranian government to undertake humanitarian efforts to safely return and reunite Bob with his family." Levinson checked into a Kish Island hotel and attended meetings on March 8, 2007. He checked out the following day, but did not make a scheduled flight to Dubai. In recent months, the United States received "proof of life," according to a senior diplomatic official and a U.S. government official. Both requested anonymity because of the sensitive nature of the situation. The government official told CNN the evidence was received within the last six months and is "clear and convincing proof that Bob Levinson is alive." The government official would not elaborate on what the "convincing" evidence entailed. Its emergence has fueled a fresh round of "discussions" between the United States and Iran, according to the senior diplomatic official. The discussions, not equivalent to negotiations, were described as "working level," meaning it was not conducted by senior administration officials, the official said. The United States is awaiting action by Iran and is hopeful progress is being made, the official said. Robert Levinson's wife, Christine, said her seven children, two grandchildren and she "await the day we will be reunited." "Our family is tremendously encouraged by the news Bob is alive but remains concerned for his safety and well being," she said in a statement Thursday. Robert Levinson suffers from diabetes and requires regular medication, she said. Levinson's family told CNN in 2010 he was working as a private investigator in Dubai and may have been looking into a cigarette smuggling case. Levinson family members have met with local Iranian officials and have traveled there to retrace his steps. Christine Levinson flew to the United Nations in 2008 to ask questions about her husband. Iranian President Mahmoud Ahmadinejad declined to meet her. The family has offered a $5,000 reward for information leading to his safe return. The State Department and FBI have consistently denied Levinson was working for the government and have demanded Iran free Levinson -- if it is holding him. Iran has insisted it does not know his whereabouts. The U.S. has lacked reliable information about whether Levinson was alive or dead. In the first few years after his disappearnace, Bush administration officials had said they suspect Iranian authorities seized Levinson and were holding him in a jail inside the country. But as the years since his appearance passed, many officials believed he might be dead. Levinson is a retired FBI agent from Coral Springs, Florida. After leaving the agency, his wife says, he worked as a security consultant specializing in cigarette smuggling. The State Department has repeatedly met with Levinson's family and have sent diplomatics note to Tehran through the Swiss government, who represents the U.S. interests in Iran in the absence of an American diplomatic presence in the country. CNN had reported that Levinson met with Dawud Salahuddin, an American fugitive who lives in Iran, shortly before his disappearance. Salahuddin -- known in Iran as Hassan Abdulrahman -- converted to Islam and was given refugee status in Iran after admitting in interviews to killing Ali Akbar Tabatabai, a former Iranian diplomat under the shah, in Maryland in 1980, he told CNN in a 2007 interview. Salahuddin was detained by Iranian officials in plain clothes and taken away from the room he shared with Levinson to be interrogated about his Iranian passport, he said in the interview. When he was freed the next day, he said, he was told by officials that Levinson had returned to Dubai. Senior administration officials have told CNN that they believe Salahuddin met with Levinson, but do not believe him to be a credible source of information on Levinson's whereabouts. In 2009, Secretary of State Hillary Clinton personally passed a note to Iranian officials at a U.N. conference on Afghanistan in the Hague asking them for help in finding Levinson. FBI spokeswoman Katherine Schweit said Thursday the agency could not comment further. "We are working very hard to bring Bob Levinson home safely," Schweit said. "His family misses him dearly and we remain concerned about his heath, given history of diabetes." Sen. Bill Nelson of Florida has sought information for the Levinson family for the past four years. "It's encouraging that we may have good news," Nelson said in a statement later Thursday. "I'm praying that he can be reunited with his family." "It's encouraging that we may have good news. I'm praying that he can be reunited with his family." Elise Labott reported from Washington and Susan Candiotti reported from New York. CNN's Carol Cratty and Brian Todd contributed to this report.